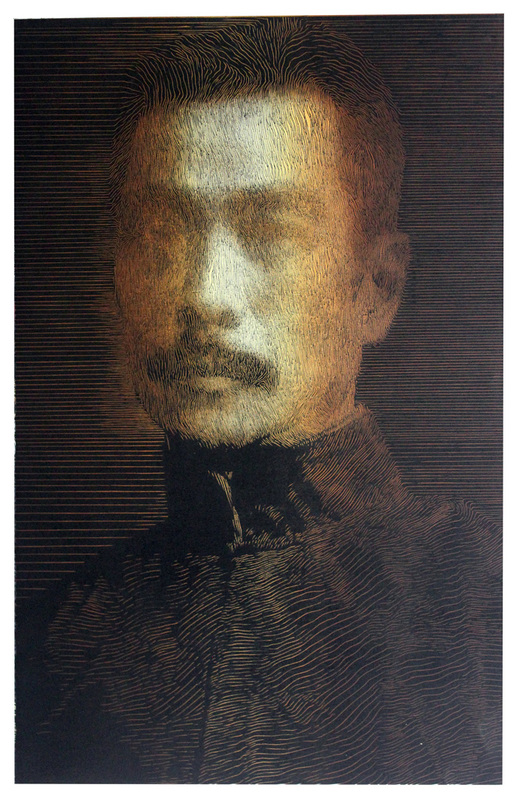 One of the artists whose work we will showcase at the London Original Print Fair is Liu Jing. 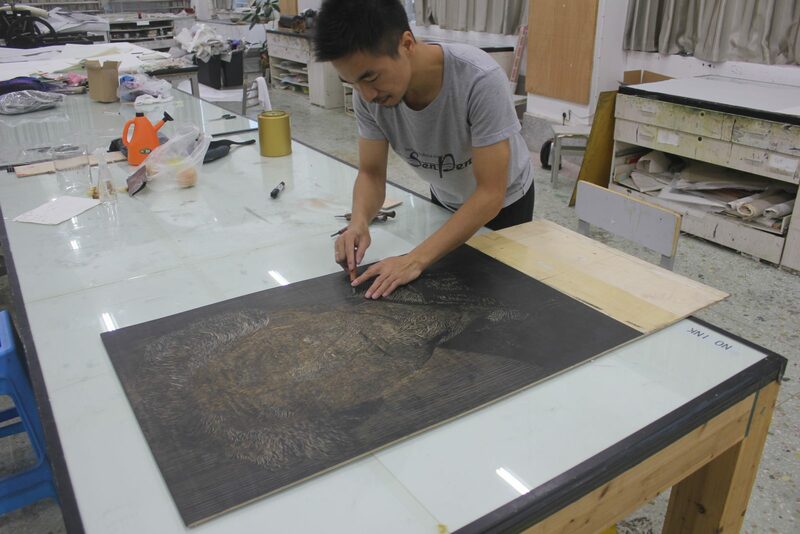 Below, he reflects on his ideas about art and printmaking after exhibiting in a solo show titled “Texture and Daily Life”, held earlier of this year in China. 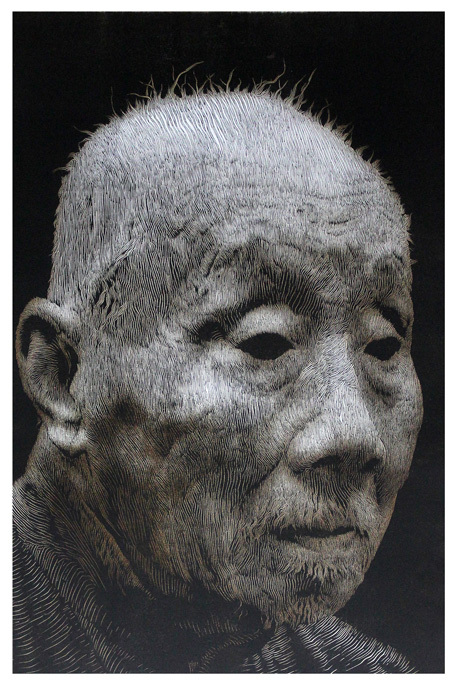 “This is my 18th year of printmaking. This is what I have repeatedly told people recently. From the age of 18 to 36, I have devoted possibly the best of years in my life to printmaking. Please note that I am talking about printmaking, not art. In my case, printmaking is much more interesting and pure than art. I never have the idea of devotion to art, but I really believe that I can spend my whole life making prints. It’s not so important to do it better or the best in this field. Is there anything more interesting in the world than prints? In my opinion, no! Many people asked me why I chose this unpopular art form back my college days. In fact, it was because of the third year students who told me that ‘to study oil painting is very expensive; to learn Chinese painting you need high level of calligraphy skills’. So printmaking was the only option left. 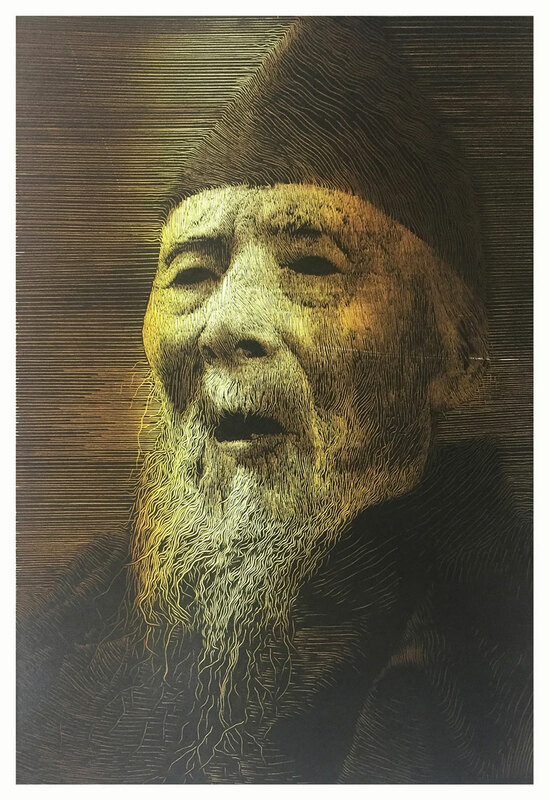 One afternoon in my second year of university, I saw a book of ‘ Chinese contemporary lithography’ in an antique bookstore in Er Fuzhuang, behind the college. I accidentally found one of my works was published in the book. Since then, I convinced myself that I was born for printmaking and no matter how difficult life has been, the situation has never changed. Today, artists are generally afraid to limit themselves to a certain field. They are afraid that their identity is too specific and they are afraid of being conservative. Printmakers are also often afraid of being called printers, and always emphasise that they are artists. My ambition is not the same. I am eager to be able to embrace technical limitation and to make my work more authentic. European and American artists were doing Dada off-canvas, ‘concept art’, breakthrough performances on the earth decades before us. As far as I can see, those artists have already settled down, calmed down, and let all art forms return to health, equality and order, with no more criticism and favouritism. technician is called Master Printer, which is extremely respectful of technology. 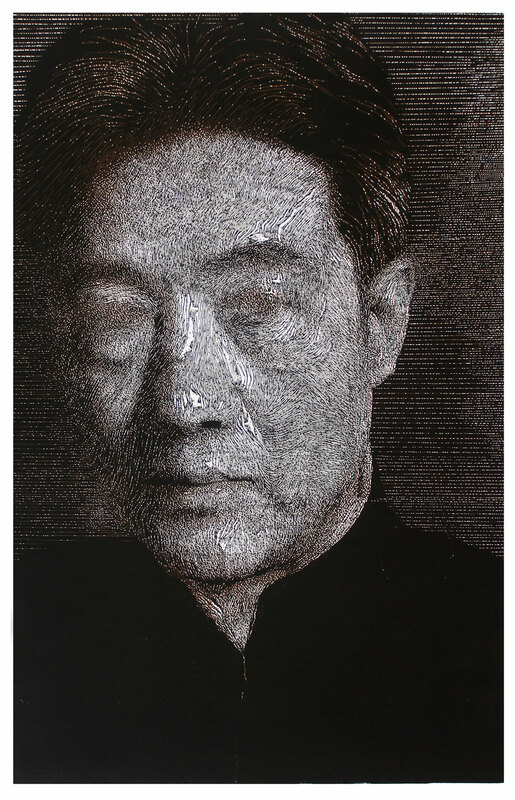 Come back next week for part 2 of Liu Jing’s comments on printmaking and be sure to visit us at stand 22 at the London Original Print Fair at the Royal Academy of Arts April 25-28, 2019 to see his work for yourself. If you’re interested in free or discounted tickets to the event, please contact us (available while supplies last).